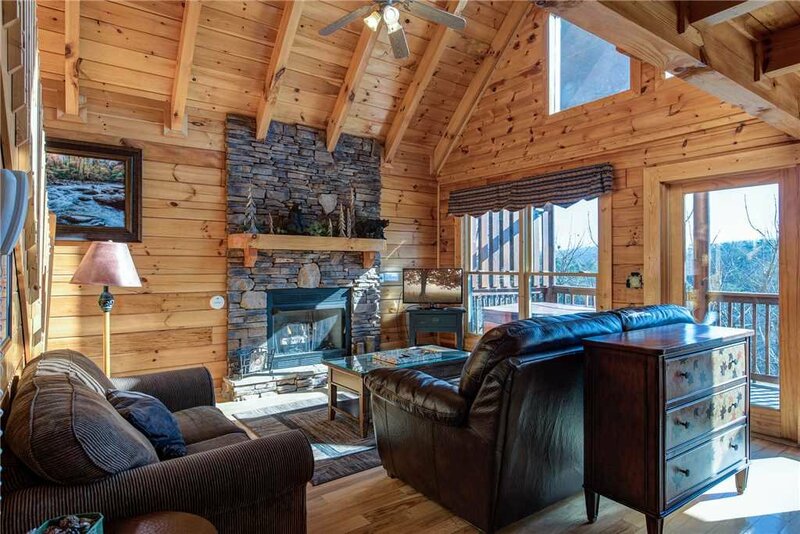 With glorious mountain views, a location close to all the area’s attractions, and amenities that include a pool table, a hot tub, free WiFi, and a game room, Aspen’s Envy is as close to perfect as a cabin can be. Whether you’re visiting with the family or a group of friends, you’re sure to make fun-filled memories that will last a lifetime. 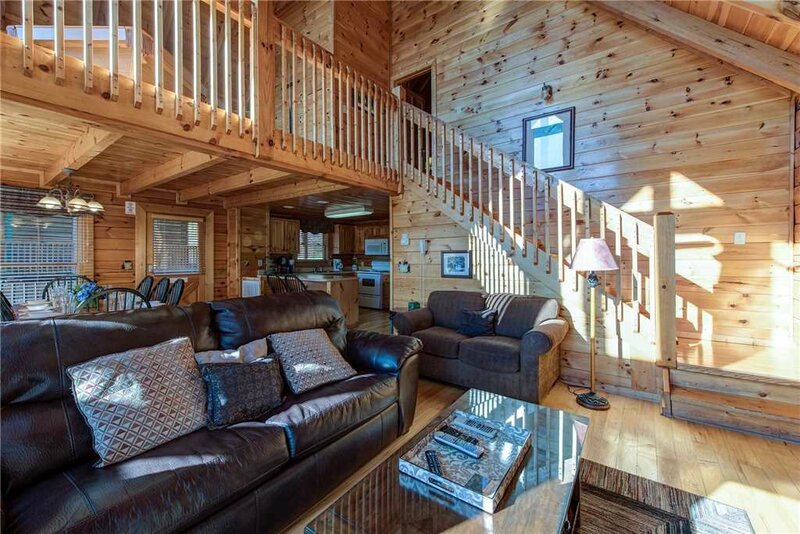 A three-story log cabin that can sleep up to sixteen people, Aspen’s Envy is within the gated Sherwood Forest Resort. 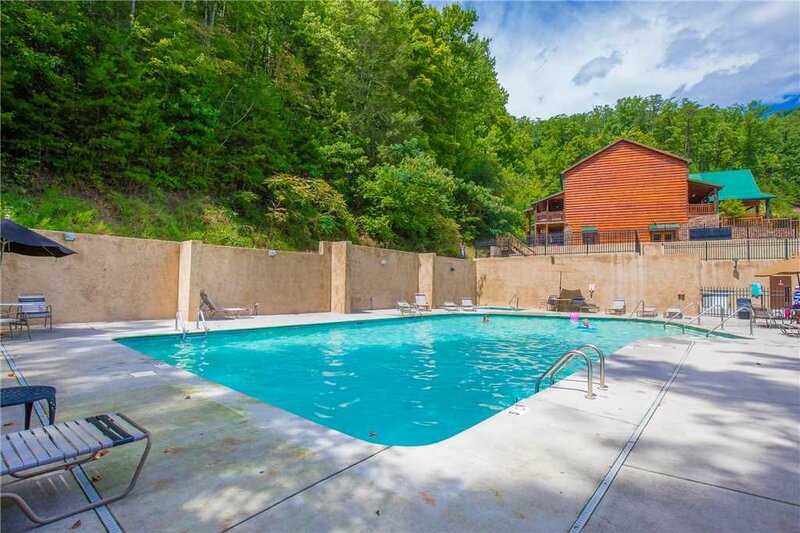 If you’re here between Memorial Day and Labor Day, you’ll have free access to the resort’s outdoor swimming pool, which is just a five-minute walk from the cabin. 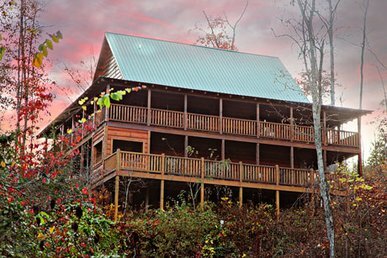 And year-round you can benefit from the cabin’s proximity to the Pigeon Forge Parkway. 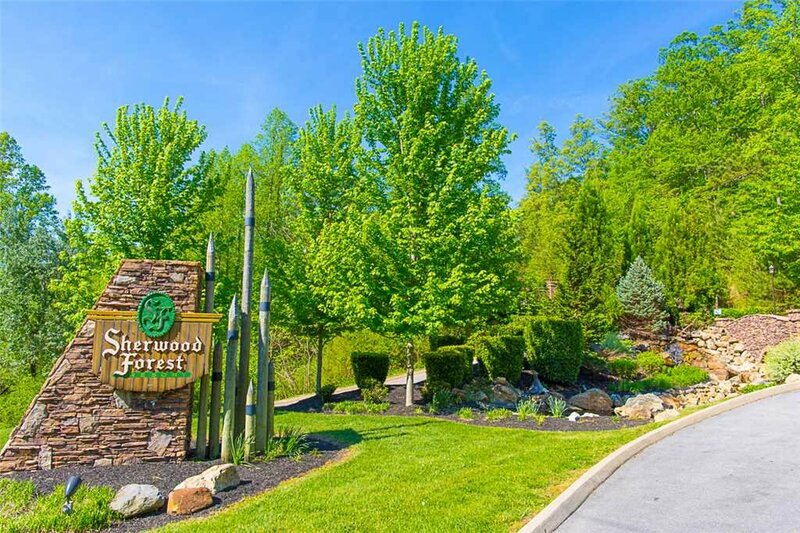 The town’s main thoroughfare, the parkway is home to the Titanic Museum, a huge outlet mall, WonderWorks, dinner theaters, restaurants, and more. 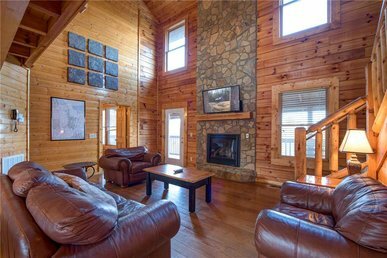 Aspen’s Envy is also just fifteen minutes from Dollywood and the many attractions of downtown Gatlinburg. 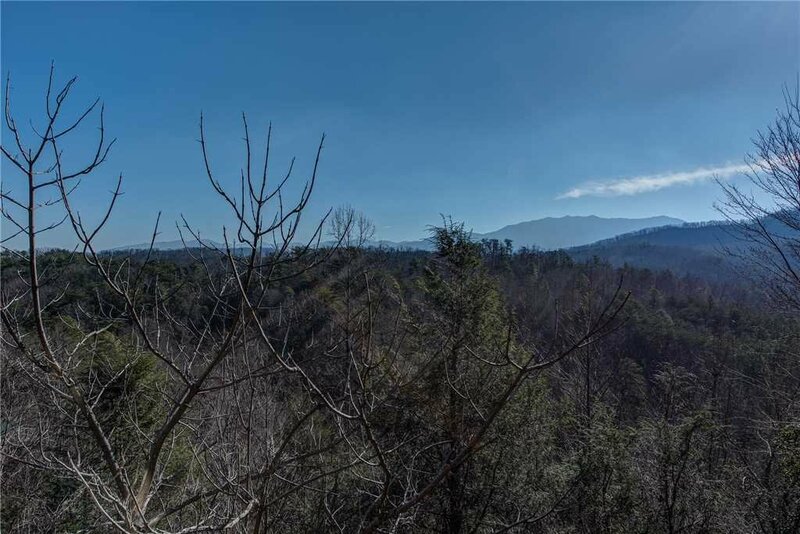 Another advantage of the location is the stunning view of lush woodlands and the Great Smoky Mountains you can enjoy from Aspen’s Envy. 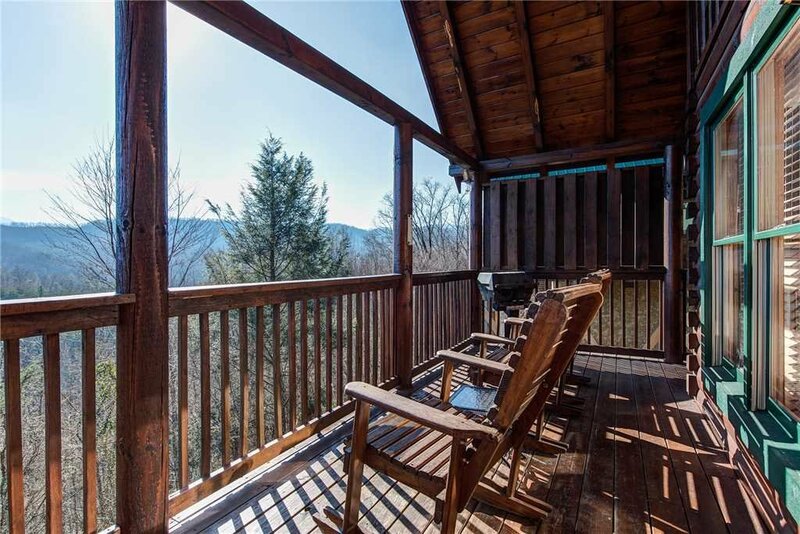 Kick back on a rocking chair on either of the cabin’s two decks and revel in the sight of falcons soaring over the mountains, the singing of thrushes and wrens in the trees, and the gentle caress of the fresh breeze. 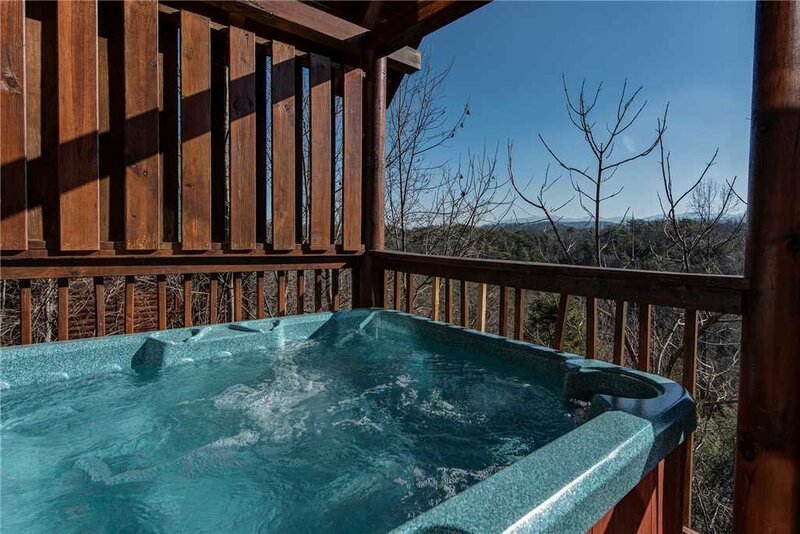 Or for the ultimate in pampering, savor the sights and sounds while luxuriating in the main deck’s hot tub. Life doesn’t get better than this! 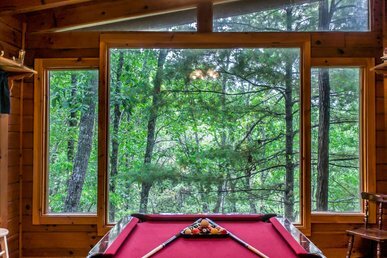 The cabin’s large windows let you admire the vistas from indoors too. What’s more, the sunlight streaming in shows off the burnished wood-planked walls, floor, and vaulted ceiling to stellar effect. 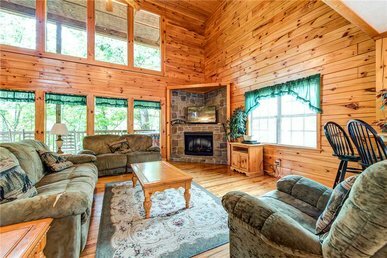 With its comfortable seating and stone-surround fireplace, the living area of the main floor’s great room is a particularly comfortable space for enjoying the sunshine and scenery—or for watching TV, reading, surfing the web, or playing with the kids. 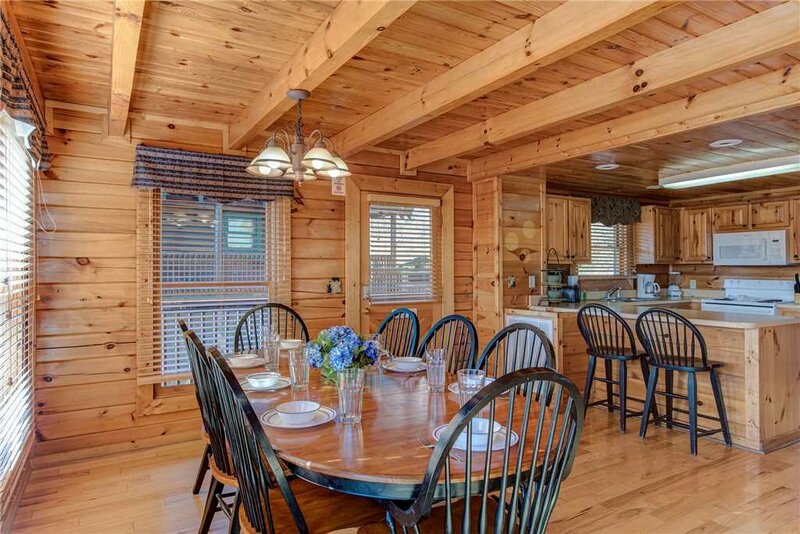 The great room’s dining area can seat eight people at its lengthy table and another two at the adjacent breakfast bar. 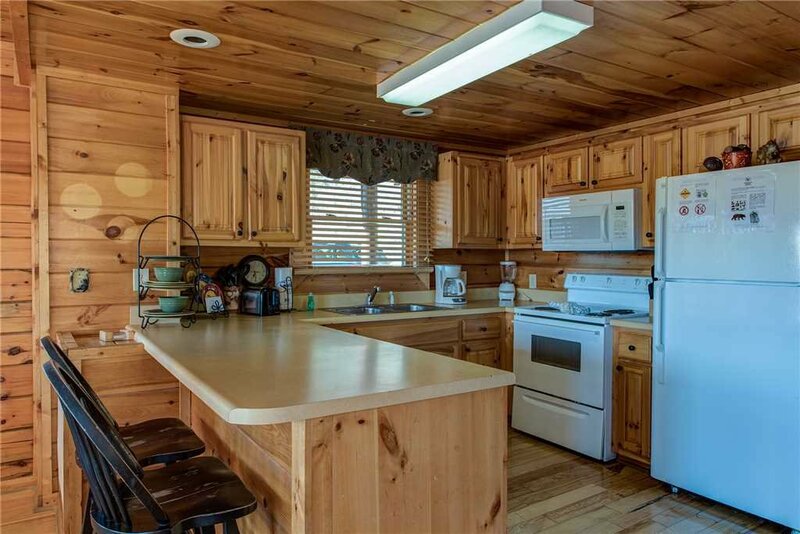 A breakfast bar is also a handy place for guests to help the chef with meal prep… or to at least keep the chef company while he or she cooks. 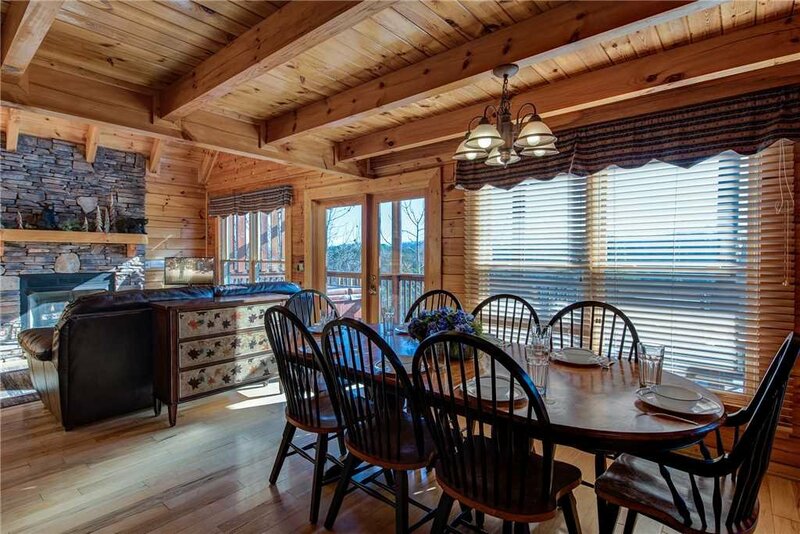 The kitchen is fully equipped with appliances, cookware, and tableware. Whether you want to host a gourmet feast or just brew coffee and mix smoothies, you’ll find all the gear you need. What’s more, there’s a gas grill on the main deck (mmm, barbecue!). When it comes to entertainment options, Aspen’s Envy will have you spoiled. 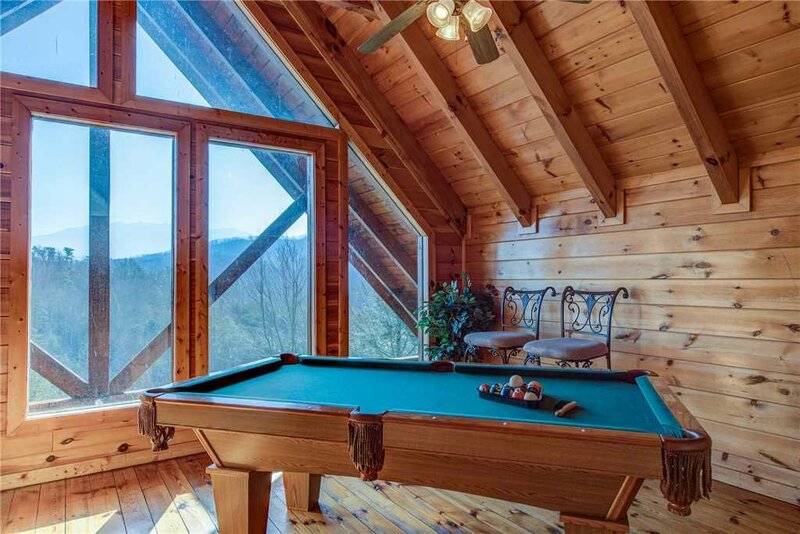 You can shoot pool on the loft’s full-size billiard table, or you can play air hockey or foosball in the downstairs game room. The game room also has its own flat-panel TV—Aspen’s Envy boasts seven TVs altogether, along with an upgraded cable package—and a roomy sofa for lounging. 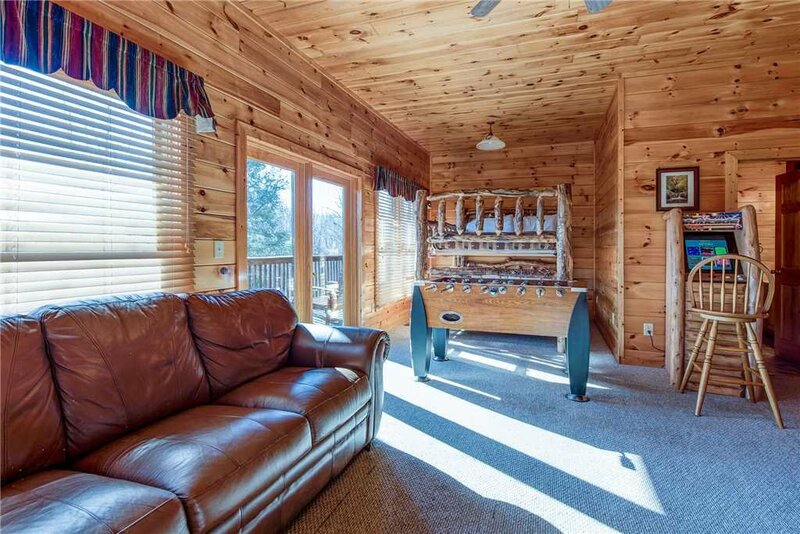 As many as six people can make the game room their sleeping quarters. Not only does the sofa open into a queen-size bed, but the room also has queen-size bunk beds. 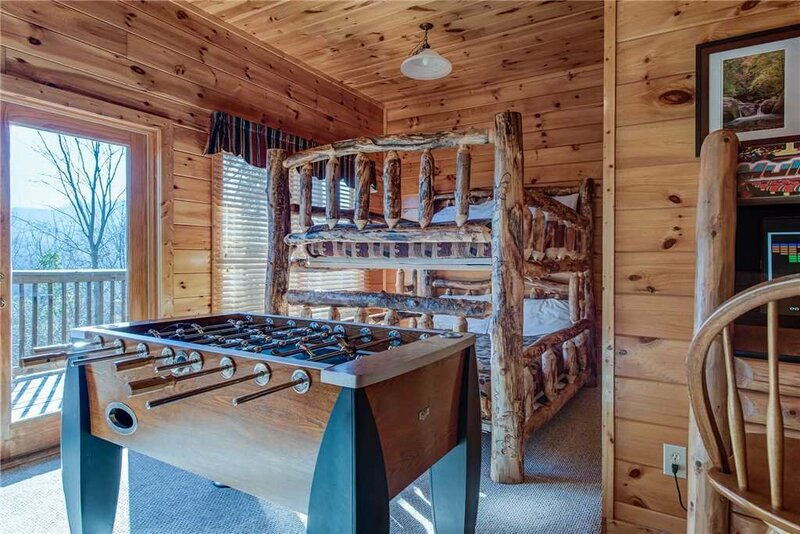 The kids will clamor to sleep here—they’ll love telling their friends back home that their bedroom had foosball and air-hockey tables! 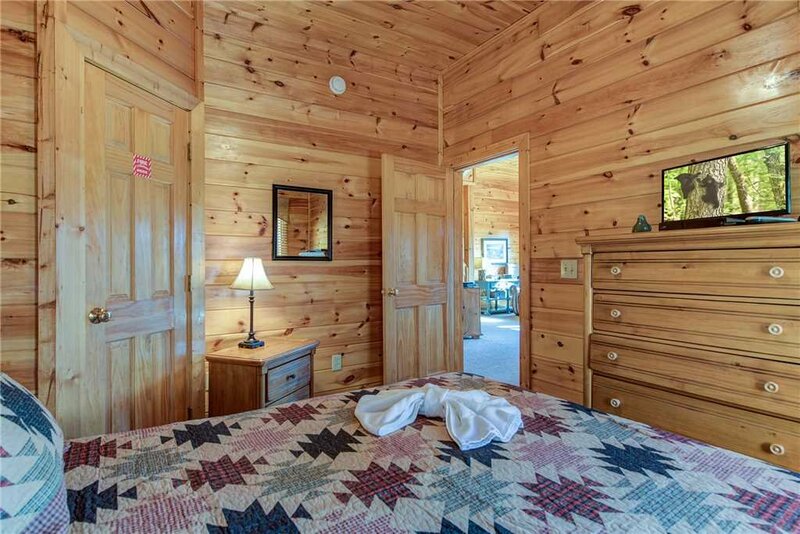 Two of the cabin’s four bedrooms are also downstairs. 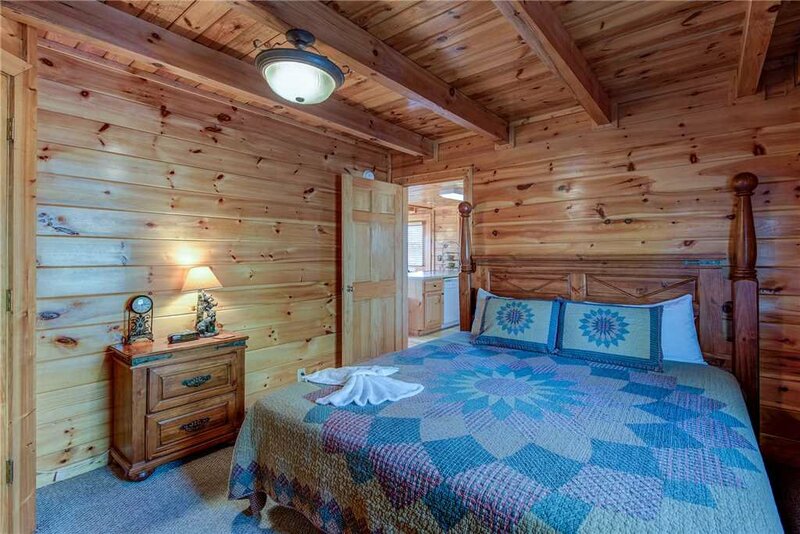 Each of these bedrooms has a queen-size bed. 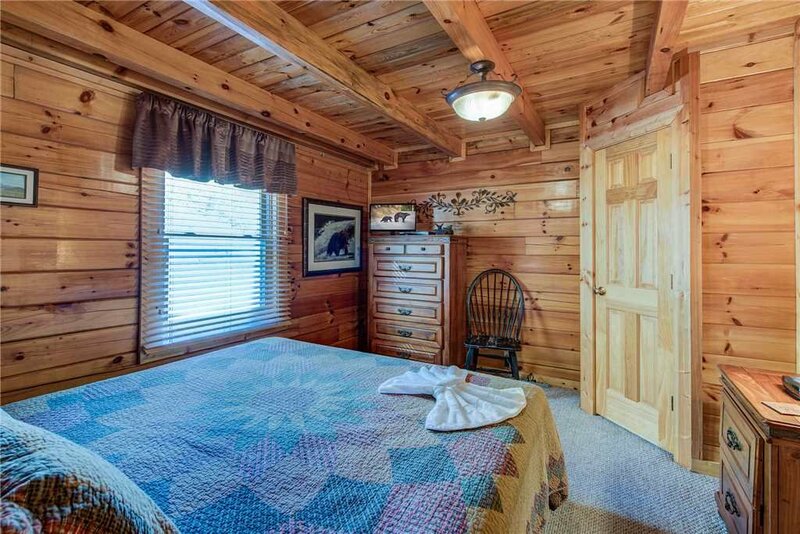 The bedroom on the main floor boasts a king-size bed and the great room’s sofa into a queen-size bed. 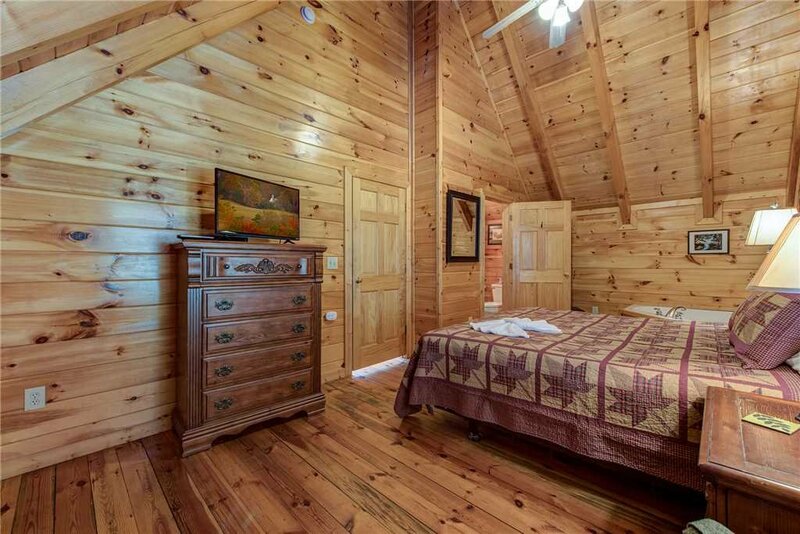 The loft is home to the master suite, a truly luxurious retreat unto itself. 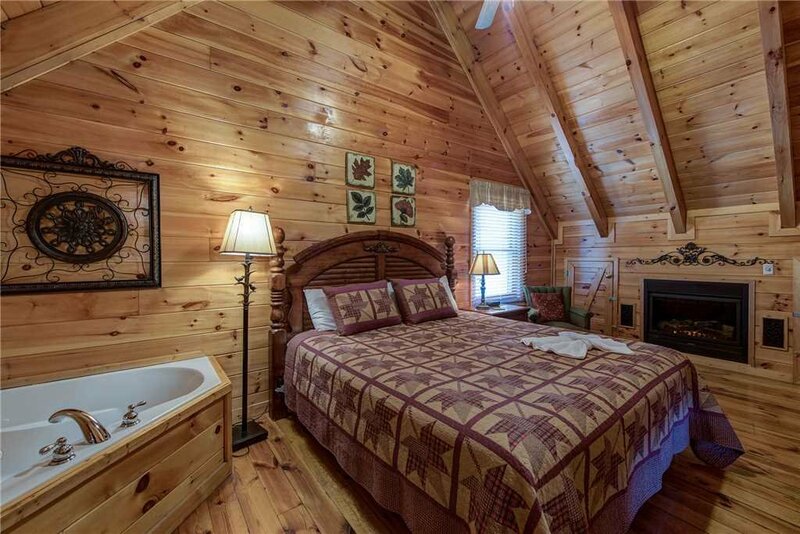 In addition to a sumptuous king-size bed, it features a fireplace, a jetted tub, and a private full bathroom. 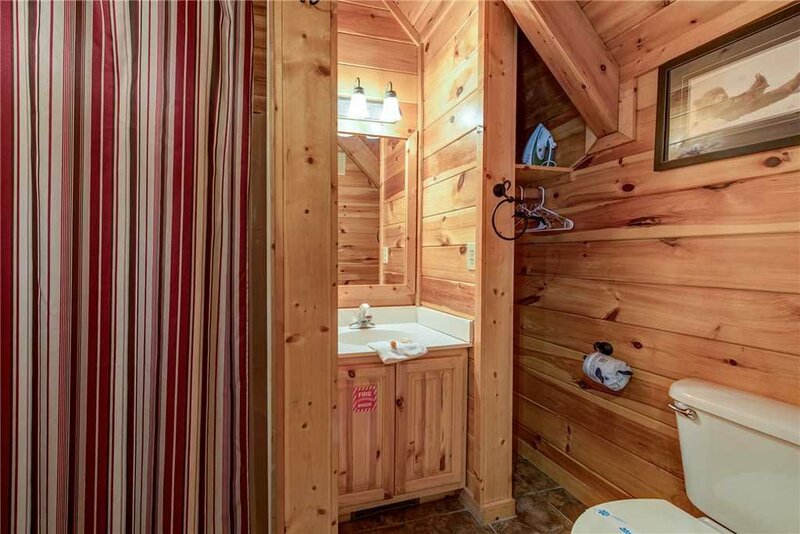 Two more full bathrooms are on the main floor and downstairs. 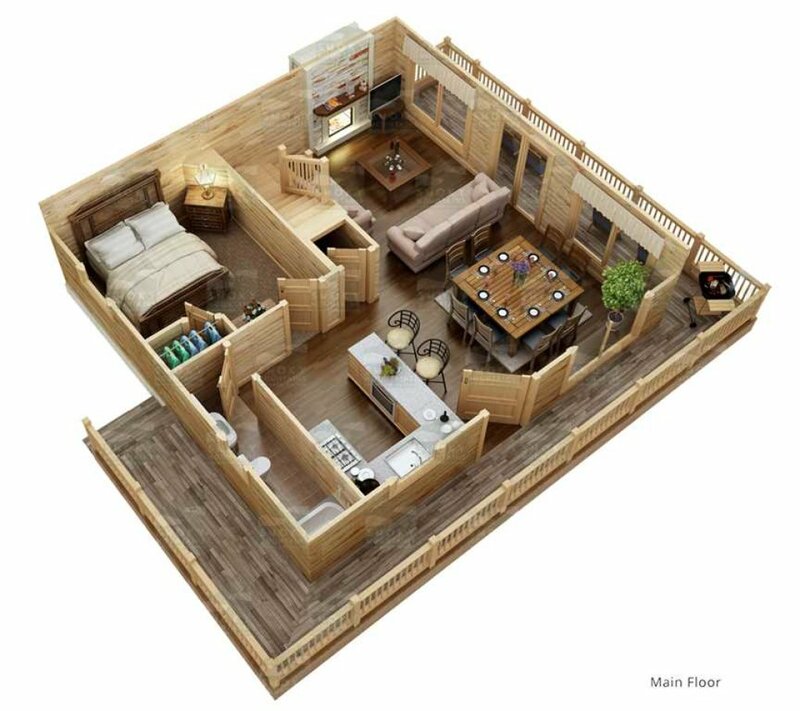 Aspen’s Envy offers something for everyone: awe-inspiring scenery, fun and games, a romantic retreat, large spaces indoors and out where the whole gang can gather, and a wonderfully convenient location. We suggest you reserve your stay today—before someone else beats you to it! We look forward to our reunion every fall. This is our second time at Aspen's Envy and we have enjoyed it both times. We hope to make it again next year! 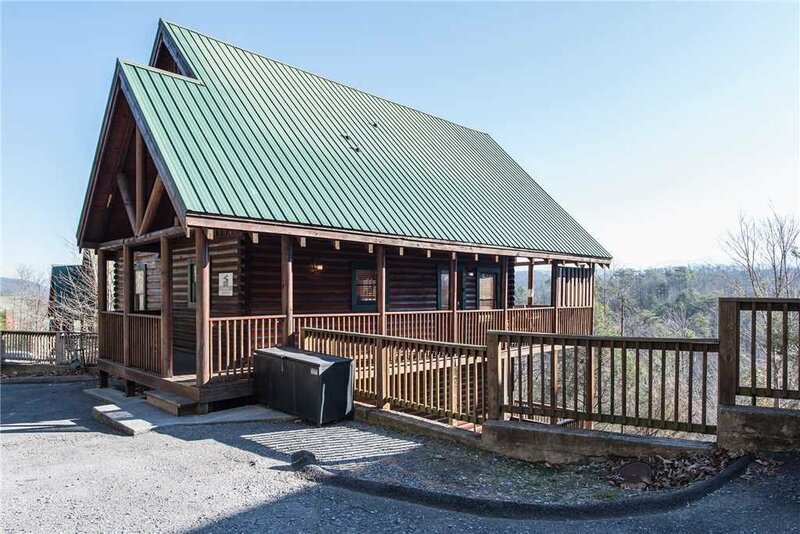 This cabin was perfect for our family getaway in the Smoky Mountains. 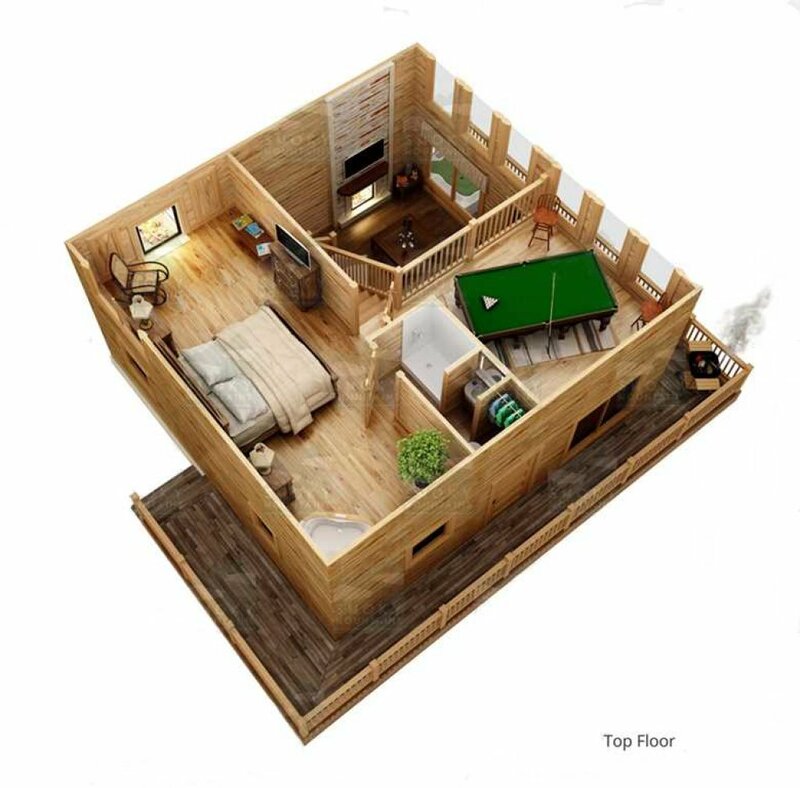 The ground level floor layout was perfect for my 77 year old aunt since the bedroom, kitchen, living room and hot tub were all on the same level. 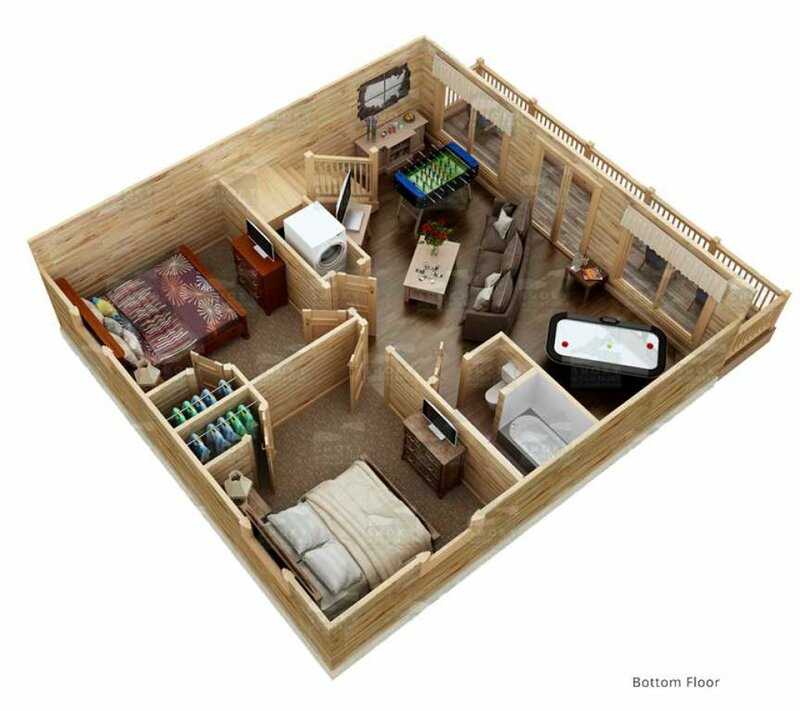 The upper bedroom was very nice and the lower level bedrooms along with the queen size bunks made for spacious areas for everyone. 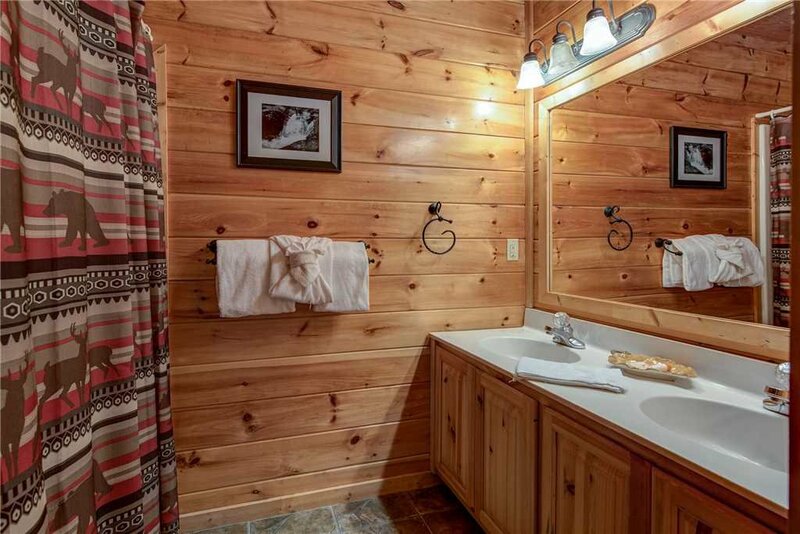 The cabin was very clean! When we had a few small issues to report they were very quickly taken care of. 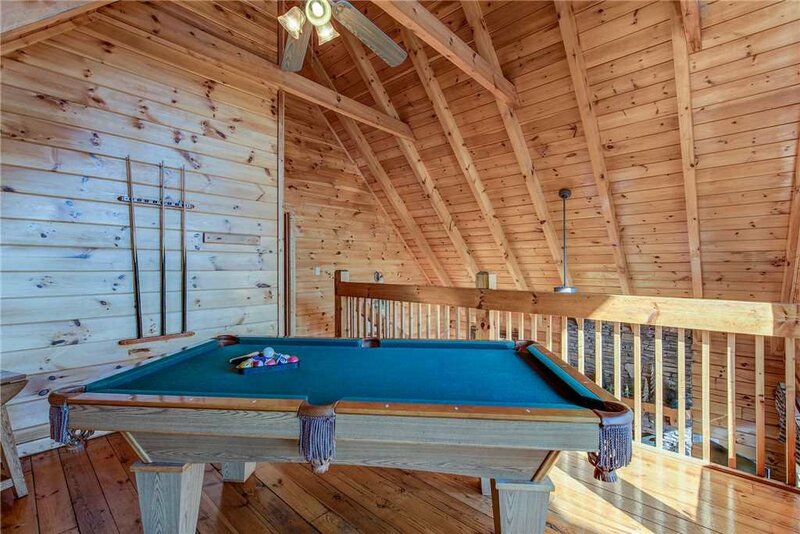 All in all, the location, the cabin, the service and the scenery were very good. 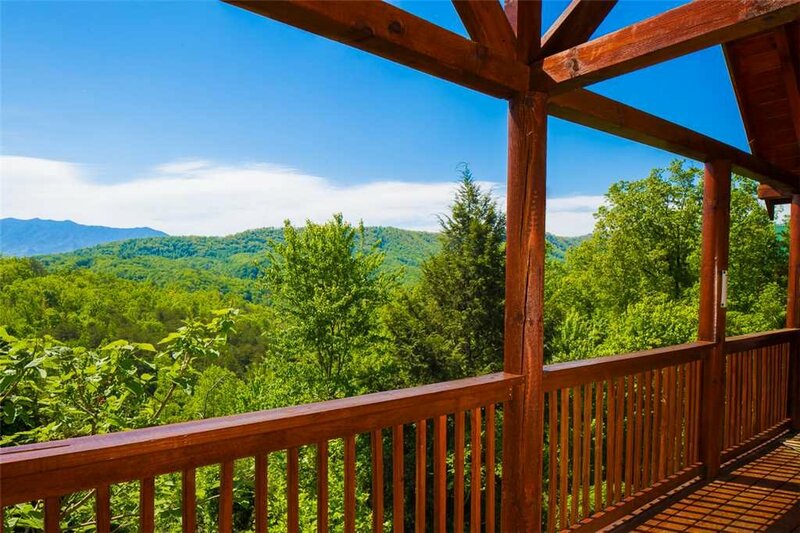 Thanks for choosing Aspen's Envy on your recent trip to the Smoky Mountains - we appreciate the five-star review! Come back soon! I can't give Aspen's Envy 5 stars in any category. The cabin itself is worn down and dirty. When we arrived, maintenance showed up to change all the batteries in the smoke detectors and turn on the fireplace. We asked him to also check several outlets near the kitchen that weren't working. He messed with it for a while and then gave up. Couldn't get them to work. At least 3 outlets not working. One near the floor that didn't even have a cover plate. Good thing we don't have small kids. The cabin is dirty and worn down. Cleaning crew is terrible. The lower floor was musty and damp all week. 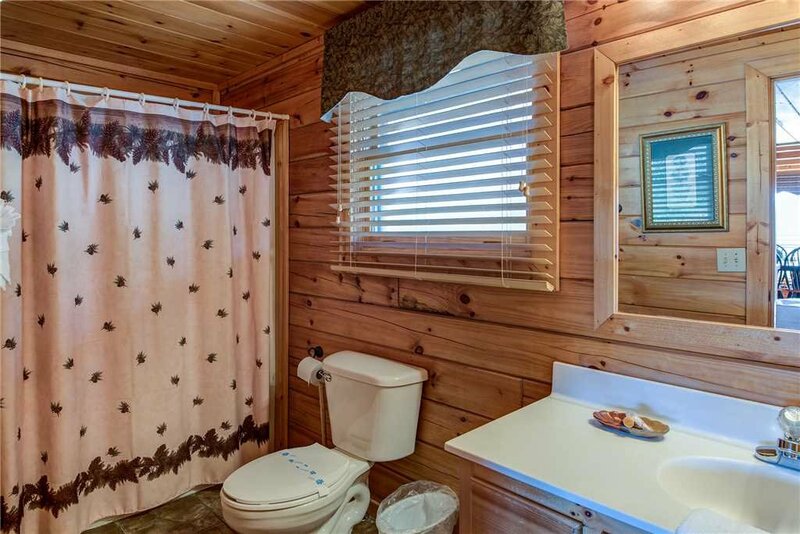 Even when we opened up the cabin and used candles, still smelled musty all week.I would not rent from this management company again. Thank you for taking the time to provide feedback of Aspen's Envy! I am sorry to hear that you were disappointed with some aspects of your stay and wish that you had contacted us on our 24/7 guest hotline so we could have addressed while you were here. We have fully addressed these issues with both the cleaning vendor and the maintenance vendor and appreciate you raising the concern. Thanks and come back soon! Overall our stay was great! There was plenty of room for our large group and the cabin was clean. The mountain view windows were dirty..but I know it must be very difficult to clean them..would stay there again! 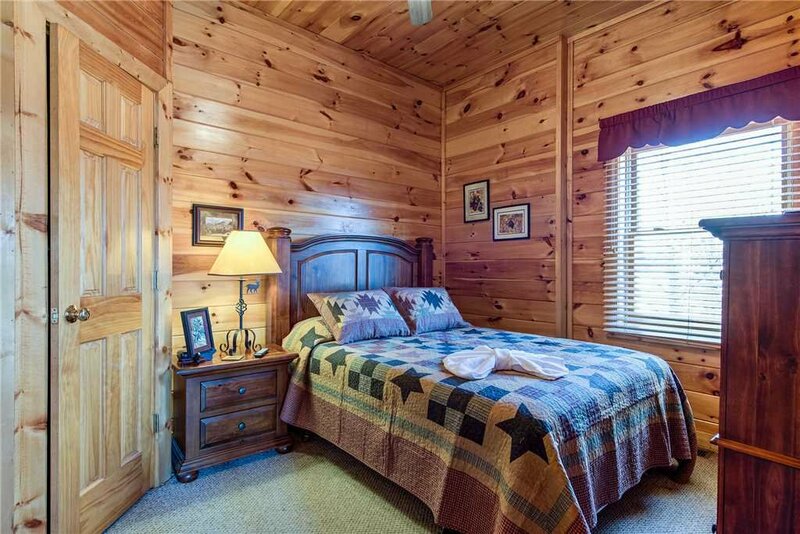 The cabin was in good condition, clean, organized and it had everything mentioned in the description. It was easy to get there, I just followed Google maps and it took me right in front of it. This resort is located in a very central place, easy to go anywhere,this is a big plus,it will save you a lot of driving time. I didn't have any issues so I never contacted the office. Check in and check out was the best. I never had to go to the office, they send you the pin for the gate and the cabin a week prior to your arrival, it's like walking in and out of your own house . I will definitely go again. 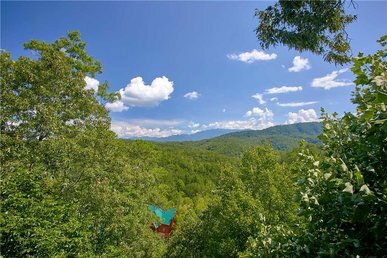 Pleasant, secluded and amidst beauty of smoky mountains. Only one small issue came up. Upper level bathroom stated to leak. Called the management who returned the call promptly and issue was taken care of. The rental was nicely equipped. 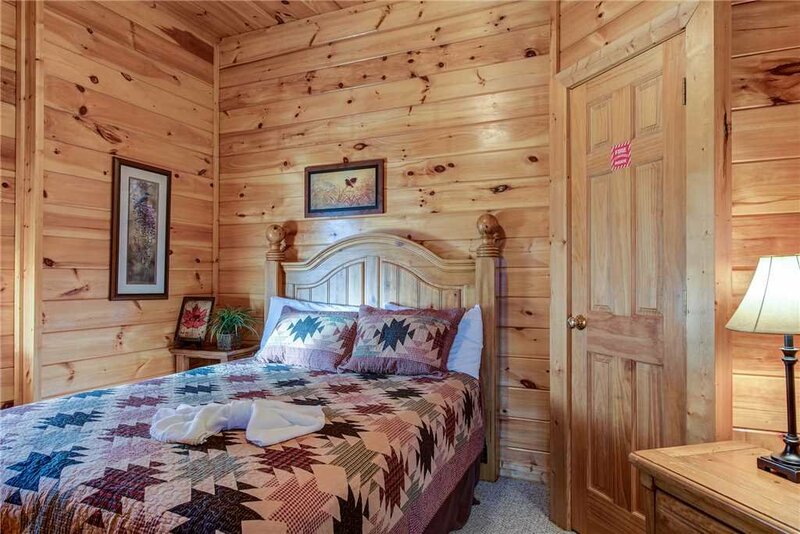 Location is good, not too far away from main road but far enough that you felt up in the mountains.The beds needs to be replaced, mattresses are old. Bottom level smelled a little musty. 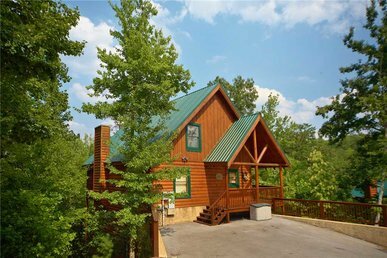 The cabin fit our family's needs and was near to all attractions. The views were breathtaking and the weather was perfect. We had a great stay! 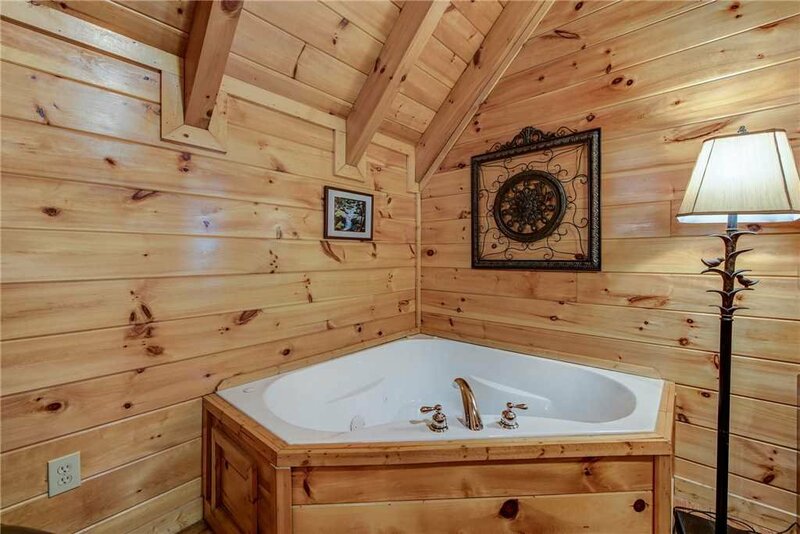 The cabin had a few issues that I would like to mention.1.Hot tub did not seem to work right. 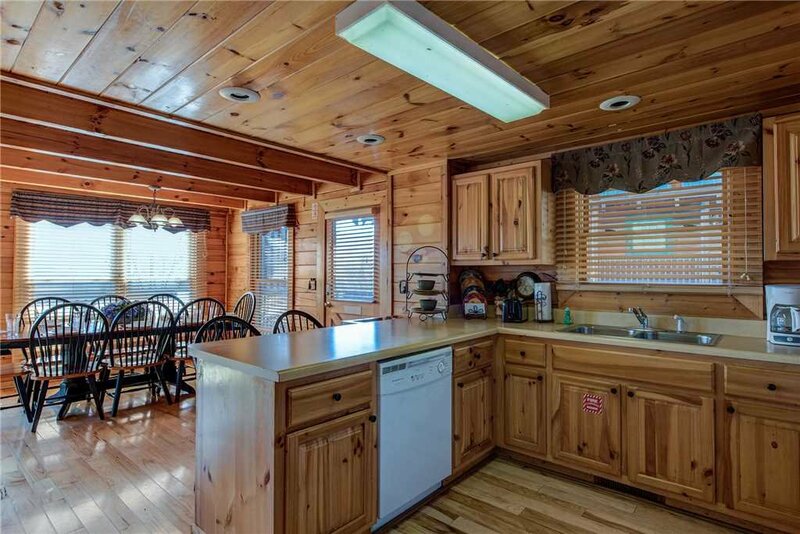 light over sink or cook area.3.Left front burner on stove top didn't work4.Sprayer on sink broken.Our stay was very enjoyable, we loved the cabin and its location. Thank you for the five-star review and feedback! We will be taking care of the maintenance issues you mentioned to ensure these don't impact future guests. Come back soon! 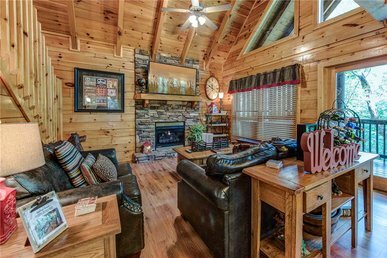 The Cabin was very cozy and clean! 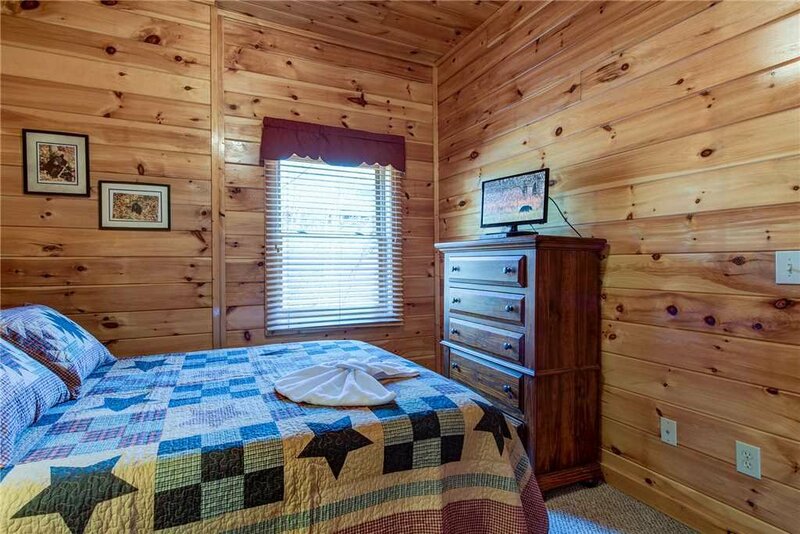 Plenty of bed space and lots of entertainment (playstation, pool table, arcade machine, foosball table, etc). 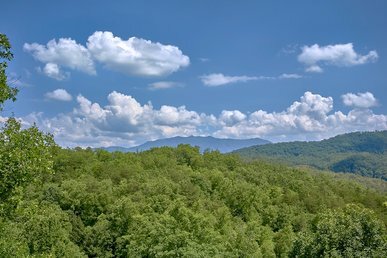 View was beautiful from back deck. 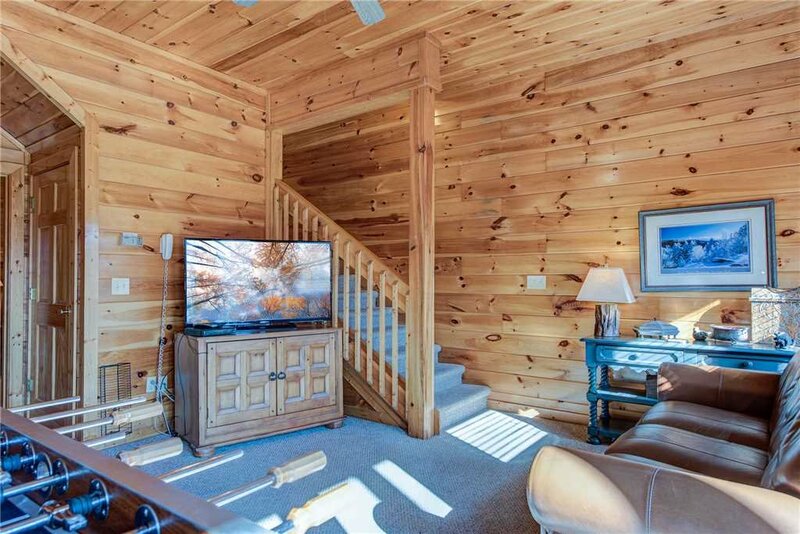 Thank you for the five-star review and comments about the entertainment options and view! We enjoyed hosting you and hope to have you back in the near future!